Many doctors, researchers, and people with fibromyalgia (FMS) and chronic fatigue syndrome (CFS or ME/CFS) say nutritional supplements are an important part of managing your symptoms. Many of us swear by them, and some people use supplements as an alternative to medications. However, supplements are typically not well researched. Some of the supplements frequently recommended for these conditions have gone through double-blind, placebo-controlled clinical trials and have had mixed results, while others haven't been scientifically tested, either for these conditions or at all. We have very little solid evidence that supplements do help alleviate symptoms of FMS or ME/CFS. Before you start a supplement regimen, be sure to talk to your doctor and pharmacist to make sure the supplements you chose are safe for you. There are also several things you should know about taking supplements for FMS or ME/CFS. Many websites claim to sell natural "cures" or treatments for FMS and ME/CFS that generally are very expensive supplement formulas. While their claims are tempting, remember that nothing is proven to cure these conditions, and few things (natural or otherwise) are even proven to alleviate symptoms. Be sure to research any substance you consider using and always involve your doctor in your decisions and in follow-up care. While definitive evidence is lacking, many experts on FMS and ME/CFS claim vitamins can help alleviate common nutritional deficiencies; boost energy, alertness, and cognitive function; and decrease pain. Dietary supplements generally are better tolerated and have fewer risks than prescription medications, but anything you take to change the way your body functions is considered a drug. Just because a product is natural doesn't mean it's safe and won't interact with other supplements or medications. You should talk to your doctor and pharmacist about what you're taking, the dosages, and potential interactions. If you have sensitivities to foods, especially gluten, you need to be aware of what inert ingredients are in the supplements you take. Your doctor may want to test you for certain deficiencies that may be commonly associated with FMS and ME/CFS or that could be contributing to your specific symptoms. This could help guide your supplement therapy and dosages. If your doctor is concerned about severe deficiencies or absorption problems, he/she may give you prescription-level doses or injections rather than over-the-counter (OTC) vitamins. Not all doctors agree on whether these conditions are associated with deficiencies or malabsorption problems. If you're concerned about these issues, you may want to bring them up. Even if he/she doesn't fully support a regimen you'd like to follow, work together to ensure that you're not damaging your health in your quest to feel better. If you do opt to use supplements as part of your treatment regimen, you shouldn't expect miraculous or immediate results. The goal should be to find multiple treatments with a cummulative effect. 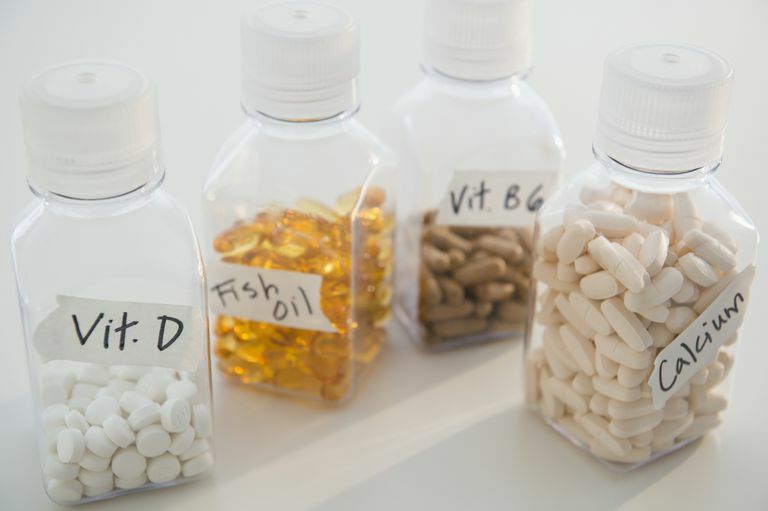 Also, as with medications and other therapies for FMS and ME/CFS, you'll probably have to experiment with different combinations to come up with the supplement regimen that works for you. A lot of multi-supplement formulas are marketed for fibromyalgia, but they may not be the best way to go. For more information on specific supplements, see Supplements By Symptom. Not all supplements are created equal! For help choosing a quality product, read Choosing High Quality Vitamin Supplements, by Verywell.com Nutrition Expert Shereen Lehman. If you have a gluten sensitivity or celiac disease, you need to be aware that many supplements use gluten as a filler and their labels may not list it as an ingredient. To learn how you can find out what's in the supplements and medications you're taking, read Gluten Free Medications, from Verywell.com Pediatrics Expert Vincent Iannelli, M.D.